Cloud Computing and increased usage of mobile devices and available official and unofficial applications has significantly increased the mobility of administration too. We basically discussed before about the overall social phenomenon of over merging technologies. IT system and network management in a company can also be controlled via mobile devices. But still, useful apps that can help IT managers to manage routers, switches and other network components from the mobile device are still a rare phenomenon. Sometimes a system administrator on a UNIX terminal window on the command-level configuration for network systems had to work while being connected to bare metal – even if many IT professionals still prefer this method. Tools dominate today with a web interface and a GUI (Graphical User Interface) with which switches, routers and wireless access points can be configured. The next step are to connect the mobile devices such as tablets and smartphones in conjunction with network – and system management apps. 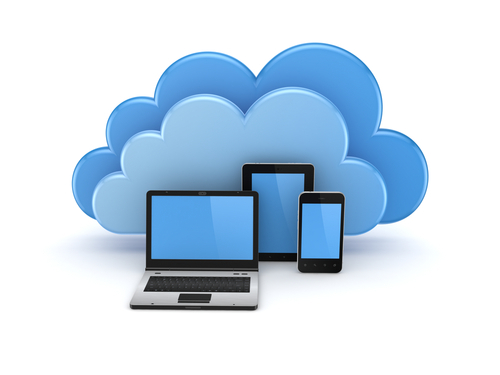 Cloud Computing itself has increased the usage of API based apps. Security solutions for Tablets and Smartphones has definitely increased the confidence of usage – either rightly perceived or wrongly perceived. In 2017, as per Gartner, 25 percent of all applications will be deployed in the corporate networks in the form of apps via app stores. This includes applications which are stationary and mobile clients, also servers to be managed via this kind of solution. As for the operating systems that support such apps, everything runs on a three-way battle between Android, Apple’s iOS and Windows Phone. Currently, most network companies offer apps for two platforms: iOS and Android. According to Gartner, Android achieved a worldwide share of 57.9 percent in operating systems for mobile systems in 2013. Apple’s iOS comes to 23.1 percent, 10.4 percent for Windows. However, Windows will expand its market share by 2016 at the expense of the two main competitors to 23 percent. Only a minor role of the operating system BlackBerry OS for BlackBerry smartphones and tablets, Symbian of Nokia and WebOS. For apps that are switches and routers can be managed, is between the two main fields of application can be distinguished: applications, which are preferably used for the management of systems and intended to be used in data centers and mobile applications that can manage network systems in Home offices. The range of apps for “professional network systems” that allow a management or monitoring of these devices is currently manageable. Some vendors such as Cisco Systems and Extreme Networks have developed applications. Other companies; such as Dell, HP keep a low profile in this relationship. This may, however, be related to the low demand for such tools. No shortage of apps that allow you to access technical documentation of network systems or to facilitate the contact with a manufacturer’s sales and support staff can be seen. These applications are to a large extent designed to promote the building of a community of users or to serve as a platform product. Three-dimensional views of network and storage systems from vendors such as Cisco, Brocade, EMC and Juniper Networks has been developed. This Article Has Been Shared 3758 Times! Hi it’s me, I am also visiting this web page regularly, this web page is actually fastidious and the people are in fact sharing nice thoughts. Cite this article as: Abhishek Ghosh, "Cloud Computing and Advent of Mobile Devices as Admin Console," in The Customize Windows, July 2, 2013, April 18, 2019, https://thecustomizewindows.com/2013/07/cloud-computing-and-advent-of-mobile-devices-as-admin-console/.